Today, Apple has updated its online store with improved iMacs. 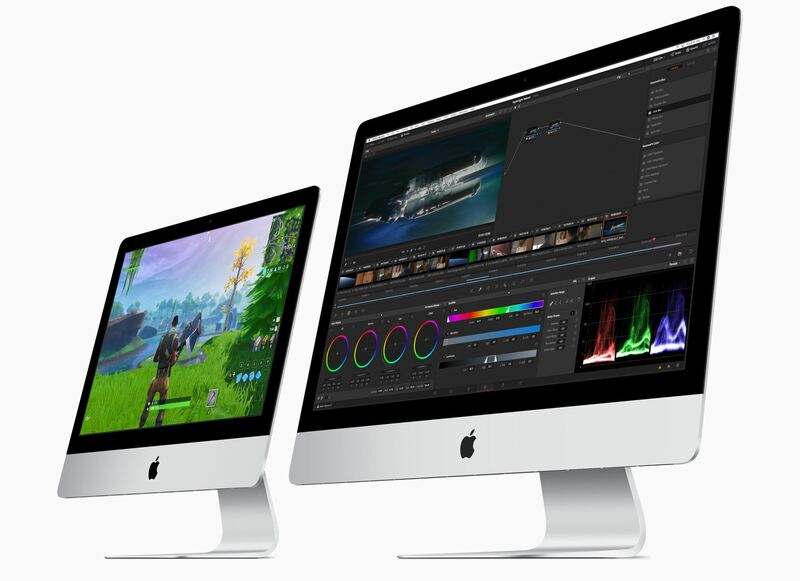 Although the iMac Pro models were updated in December 2017, the non-Pro version hadn’t seen an update since June 2017, the longest time ever between iMac revisions according to MacRumors. The new iMacs, which were announced via a press release, include new base models and custom-build options for the 21.5 and 27-inch models that will allow customers to configure an iMac that rivals the specs of the lower-end iMac Pro models. The base configuration of the 21.5-inch iMac now includes quad-core and 6-core models, which Apple says deliver up to 60 percent faster performance. The base model CPUs start with a 2.3GHz dual-core Intel Core i5 processor, a 3.6GHz quad-core Intel Core i3 that can be upgraded to a 3.2GHz 6-core Intel Core i7, and a 3.0GHz 6-core Intel Core i5 that can be updated to a 3.2GHz 6-core Intel Core i7 processor. All the of the processors except for the i3 model also feature Intel’s Turbo Boost technology that lets them run at faster speeds for limited periods of time. The amount of memory, as well as storage and graphics configurations are the same on the base models but come with new options. The base configuration of each model includes 8GB of 2133MHz DDR4 memory and a 1TB 5400-rpm hard drive. Up to 16GB of RAM can be added to the 2.3GHz i5 iMac. The other 21.5-inch models can be upgraded to 16 or 32GB of memory. Only the inclusion of a 32GB option on the mid-tier model is new. 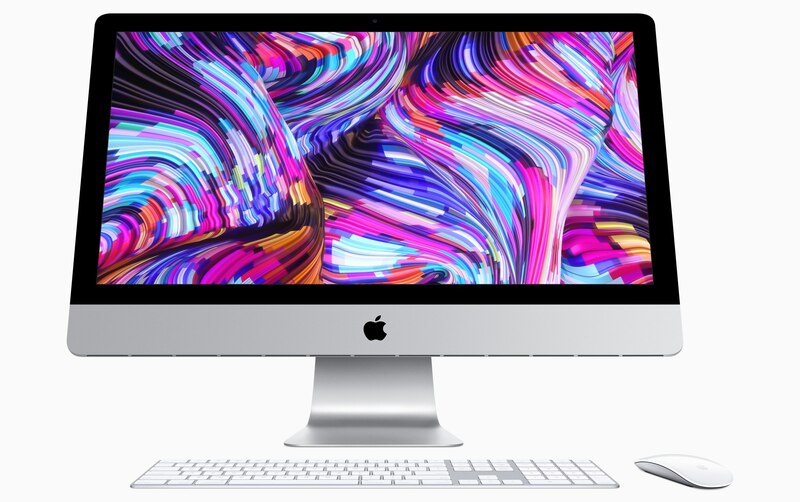 The new options for the 21.5-inch iMac are a welcome refresh of the model, but Apple reserved the bigger update for the 27-inch iMac. The new 27-inch iMac features new base CPU configurations. Gone are the quad-core options, replaced with 6-core CPUs across the lineup. The entry-level 27-inch model now starts with 3.0GHz, 3.1 GHz, and 3.7GHz 6-core i5 processor options. The 3.1GHz and 3.7GHz models can be upgraded to a 3.6GHz 8-core i9 CPU. Like the 21.5-inch model, the i9 processors also feature Intel’s Turbo Boost technology. Memory, storage, and graphics have been updated too. The options for memory start at 8GB of 2666MHz DDR4 memory that is user accessible. All three models can be upgraded to 16 or 32GB of memory, with the 3.1GHz and 3.7GHz models having a 64GB option too. Storage options include a 1TB Fusion Drive for the 3.0GHz and 3.1GHz models and a 2TB Fusion Drive in the 3.7GHz model. Those are upgradable to a 2TB Fusion Drive, or 256GB, 512GB, or 1TB SSDs in the low and mid-tier models. 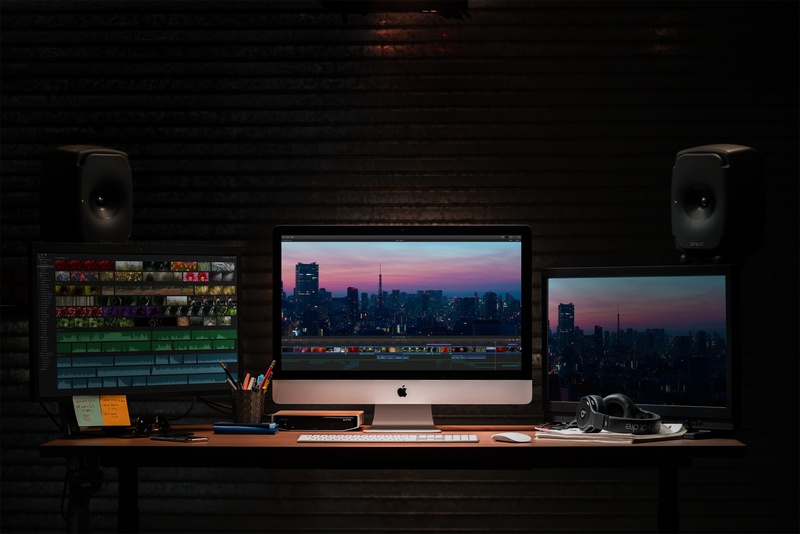 The highest-tier 27-inch iMac can be upgraded to a 3TB Fusion Drive or 512GB, 1TB, or 2TB SSD. The 21.5-inch iMac starts at $1099 for the 2.3GHz model. The 3.6GHz and 3.0 GHz models are $1299 and $1499 respectively. The 27-inch iMac starts at $1799 for the 3.0GHz model with the 3.1GHz model coming in at $1999 and the 3.7GHz at $2299. Fully-loaded with all the hardware options, the top-end 27-inch iMac can be configured to cost $5249. After nearly two years without an update, the existing iMacs were in need of a refresh. The new models deliver with excellent new options for the 21.5-inch line and an impressive revamp of the entire 27-inch line that puts the top-end iMac close to the specs of a base-model iMac Pro. I wouldn’t have been surprised if Apple had held a special event for the iPads announced yesterday and the iMacs announced today. As Ryan noted in our overview of the iPads, hardware releases this close to the March 25th event suggests that there will be no hardware released next week at all, which today’s additional hardware announcement reinforces.